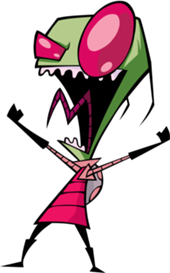 Invader Zim, if you didn’t know. 2. I might understand this whole “Brony” thing finally. Two very smart young men, Jason R. Nguyen and Kurt Baer, explored “Ethnographic Methodology and the My Little Pony Fandom.” First of all, they have a great blog where they’re explaining and documenting their efforts. I’d heard about this “brony” phenomenon — mostly straight-identifying men who watch and discuss My Little Pony — in bits and pieces of media coverage/outrage. Naturally, most of the coverage doesn’t have to work that hard to make the idea of grown men watching a little girls’ pony show seem suspicious. But through Nguyen and Baer’s entertaining presentation, I think I understood it much better, and it seems to come down to camaraderie like any other fandom. But the key is that most people may not realize that what they’re fandoming over is a very clever reboot of the My Little Pony franchise that is designed to go above and beyond normal kid fare. What I’m saying is, I think it’s just a good show that isn’t that pervy to enjoy, and we shouldn’t judge straight men for liking something traditionally “girly.” We wouldn’t fret about a group of straight women discussing Transformers. What Does ‘Feminist Comedy’ Look Like?